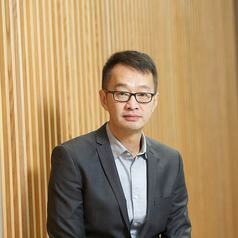 Professor Kuk holds a PhD in psychology from University of Nottingham. Since 2016, he has held the position of Professor of Innovation and Entrepreneurship at the Nottingham Business School. He leads the Innovation, Digitization, Entrepreneurship and Operations (IDEO) research group. His publications are primarily in the areas of technology and innovation. Some of his work has been appeared in leading journals such as Management Science, Technology Forecasting & Social Change, Government Information Quarterly, and Information Systems Journal, among others. His work draws on insights from the studies of user and open innovation, and theories of collective action to explore the governance of the coproduction of open source software, hardware, data and design. In particular, his research examines the behavioural manifests of creativity among a new class of creative altruists and entrepreneurs. His research entails the use of mixed methods and ethnography study of this new form of organising and practice by bridging the digital and the physical as a co-working space, and also by combining the pro-social and the market logic as a semi-common. He has received multiple research grants from the UK research councils including AHRC, EPSRC, and British Academy, and from international funding agencies such as VINNOVA, and CAPES. Some of his current research involves international collaboration on research projects such as: blockchain and food security in South Africa, and heritage and street art in Malaysia.